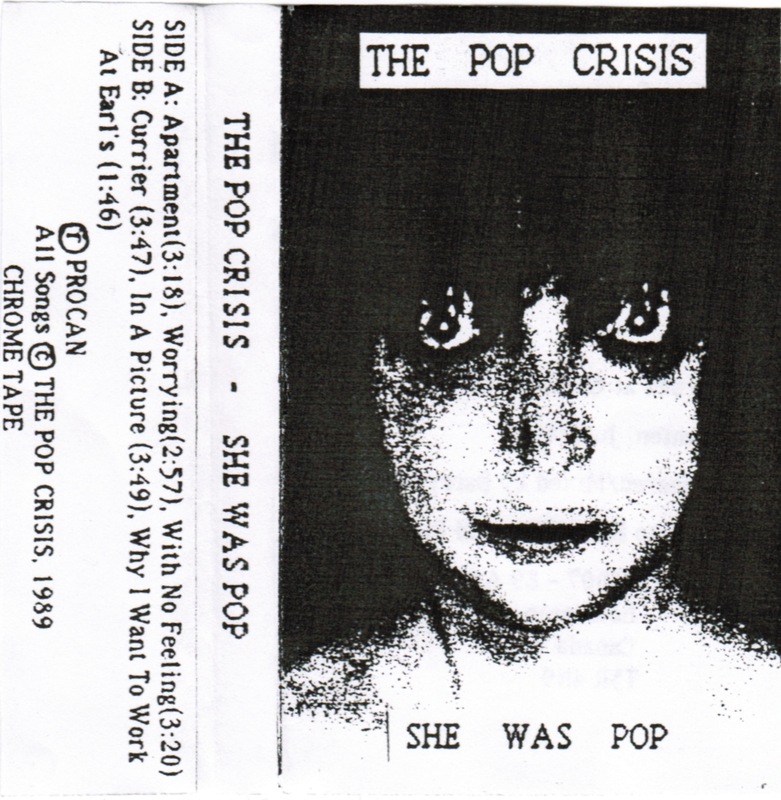 We're still in Edmonton with a few more tapes from Corey Hamilton's collection. 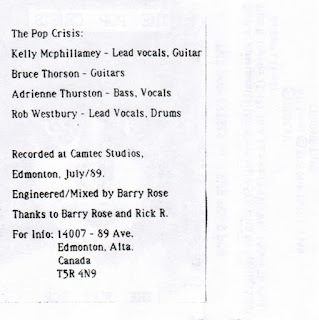 The Pop Crisis features Kelly McPhillamey, who would go on to play with Minstrels on Speed. 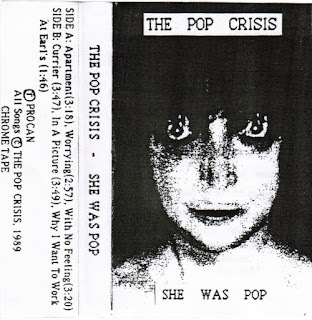 Like that band, these are pop-focused rock songs. 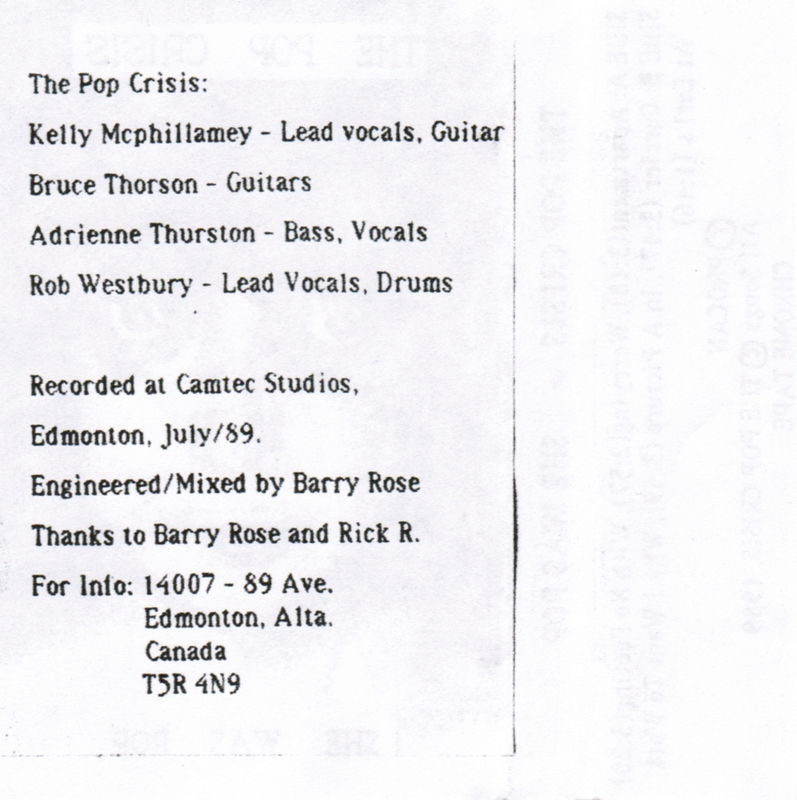 Pop Crisis are a little less heavy than the Minstrels, maybe because this was pre-Seattle?